With the internet of things (IOT) adoption wider than ever before, companies are constantly developing new devices for our increasingly connected environment. Now is the time to offer more than content to your subscribers! Long gone are the days when the fight was about providing media and entertainment throughout the whole house and to all members of the family. Now, the IOT revolution has opened the door for pay-tv operators to evolve and provide smart home services to their customers enabling revenue growth. We are all aware of the major players trying to control our smart homes. With their smart speakers, doorbells, cameras and voice assistants on hand, they not only make controlling connected technology easier but also provide a credible alternative to the incumbent pay-tv operators. 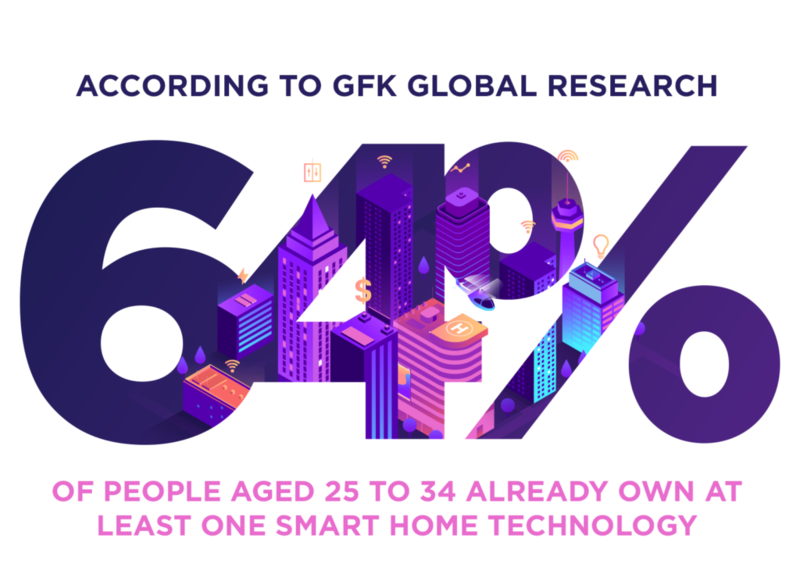 Many customers have already purchased one or more smart home devices and are planning to add more over the next few years. These companies now have a billing relationship with the same customers as the pay-tv operators and smart home services are not the only platform they are offering. Another one is video; these players are pushing content aggregation and own produced content. These new technologies and services are, in some cases, out of the comfort zone of pay-tv operators. It’s a question of buying, build it or find partners. I believe a combination of all three will probably be needed. The important thing is to provide a holistic solution that enables your subscriber access to all services via a common and intuitive user interface on all platforms. 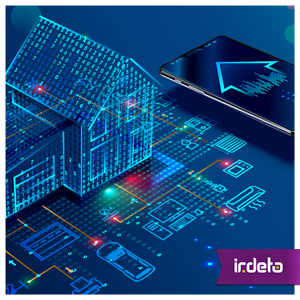 Providing consumers with smart homes services expands the opportunity for an operator to grow and enables the collection of data from more devices. With this comes the opportunity to identify new businesses and personalize the offering, but also the challenge to keep this data secure and respect regulations like the European Union GDPR. The provider needs to make sure that they keep the data secure and be transparent on what data they share with whom. With all these appliances and devices that connect to the internet and to the home network, there are more opportunities for cybercriminals to infiltrate. Operators need to build on the existing trust that their subscribers have placed in them and ensure that the new services delivered are fully secured. Anything less will erode consumer confidence and hurt the existing business. This is business critical, if not today, in the years to come. The battle for the digital home will continue well into the next decade, but the incumbent pay-TV operators are not to be ignored. There is an opportunity to build the capability or partner with newer, digital entrants to extend their current strengths and utilize these advantages to mark their place in this growing digital market. This entry was posted in Media & Entertainment and tagged anti-piracy, content rights holder, cybersecurity, IoT, Iot Security, Irdeto, online piracy, pay-TV operator;, security, smart home. Bookmark the permalink.